Does anyone have any of the round connectors? I know this is an old thread, but I can't find any around here. I would be willing to be a couple bucks for some. PM'd you. I have some handy if you still need them. So I finally got around to adding cruise to my 2009 Cobalt. Step 1 left a little to be desired as far as wiring the pins into the back of the clock spring harness, so I took a few pics so y'all can see what you're getting into a bit better. Send a private message to Michael C.
Find More Posts by Michael C.
Originally Posted by Michael C.
I managed to find one, and got everything wired up then took it to a shop that said they could do it, but they couldn't and still made me pay for an hour of their time. ($118) So now i still have useless buttons on the wheel and don't want to waste any more money on it. That's some bull... no work was performed, so you shouldn't have to pay. Hay .. just got back from my local Pont dealer .... I Installed the Cruse Control Buttons and wire harnes, wanted them to "turn me on" .. well they told me that it can't be done. I gave them the instructions as stated earlier in this tread, but the Tech told me the Cruse button is not active in the Tech II. He then went and called GM and they sent him Service bulitin #PIT4837A.. It is dated 6 May 2010. It states you can no longer do an ADD on Style Cruise Control on 2005-2010 Cobalts and 2007 to 2009 G5's. Now what dio I do??? Old reply by N174MT on 05-18-2010, 04:26 PM - This GM bulitin #PIT4837A.. It dates back to May 6, 2010 on Cruise Control on 2005-2010 Cobalts. This part made me mad because I wanted factory cruise on my 2010 Cobalt LS and the dealer said that I couldn't have the factory cruise added. I hate it when the dealer does like that. But in the end I decided to go with an aftermarket cruise control and had it installed along with having a Viper LCD 2-way Security + Remote Start System (model: 5706V) installed on my Cobalt during that same visit at my local car audio stereo shop. After having cruise installed, I had to take my Cobalt to my local Chevrolet dealer to have them program the Body Control Module (BCM) to "turn on" the cruise control option. At first the dealer gave me a hard time about it, but in the end after a few minutes of arguing with me and arguing with the car audio stereo shop, the dealer gave in and decided to turned the cruise control option on. Total labor cost for having the BCM reprogrammed at my Chevrolet dealer ran me $79.95 before tax and after tax it was $85.55 total. I had all this done to my Cobalt on April 18, 2014. After going through all that, having Cruise Control was well worth it for me in the end because it increases comfort and reduces fatigue while I'm driving on those long trips. That's is so stupid and sad because my local Chevrolet dealer tried to do me that way after I had my aftermarket cruise control installed on my 2010 Cobalt LS by my local car audio stereo shop. But in the end my dealer went in head and turned on the Cruise Control option on my Cobalt. Cruise Control is a system that automatically controls the speed of a motor vehicle. That's not right, they just ran diagnostics and that was it? Did you make a copy of those instructions for the dealer on how to configure the BCM for Cruise Control which are on page 1 of this thread? The only thing you can think of doing is just keep trying dealers like outside your area. Someone will agree to do it. I wanted to ask and see if there is anyone from the Syracuse/CNY area that either has a Tech II and would be willing to help me out in turning my cruise control on or recommendations on mechanics or dealers around here that they have had success with. I have been to a few places already with no luck. It seems like everyone's scared to work on the computer. I have a 2009 G5, manual, and I installed a G5 GT wheel awhile back. I followed the thread's instructions (great infor by the way) to make sure my car is ready for cruise and all wiring is in place, all I need is the minor BCM edit. I of course would be more than happy to throw a couple bones or a case of beer or something if someone could help me out. Go ahead and PM me or respond on here if you think you could help me out. I just joined so I could say thanks for this, following the instructions here I was able to install cruise and steering wheel stereo controls on my base model 2010 cobalt coupe, which was the one thing I really wanted ever since buying it new that it didn't have. I managed to find a new old stock Saturn Sky leather wheel on eBay that had never been used and it fits and looks great. I had to run the wires to the BCM and stereo, I took some of the wires/connectors from the original steering wheel since I was having a hard time finding the right connectors, they worked perfectly. I wasn't able to find anyone in my area to activate it with a Tech II, but a cousin at a Ford dealership a couple of hours away had access to one and we were able to get it going by following the activation instructions from a Rostra aftermarket cruise kit. One odd thing, after programming the driver's side door locks when the key is on and unlocks when it's off! We must have turned on power locks when we were getting cruise going but I don't remember seeing it. As a base model car it isn't supposed to have power locks, but it does have an actuator, at least on the driver's side. I've been meaning to look in the passenger side and see if maybe there's one there that just isn't connected but haven't gotten around to it. It would be awesome if I could get keyless entry to work, even if it's just one door. I tried a do-it-yourself kit from AutoZone that's supposed to activate a new key fob by plugging a module into the ODB2 connector and following the instructions on it, but I couldn't get it to work and the check engine light came on but fortunately went away after a few minutes so I quit trying and got my money back on the key fob kit. I wonder if keyless entry is an option in the Tech 2? I'm tempted to run down the road a couple hours and get my cousin to take a look again. But anyways, thanks for this post. It was REALLY helpful for getting everything hooked up, and long trips are much more enjoyable with working cruise control. 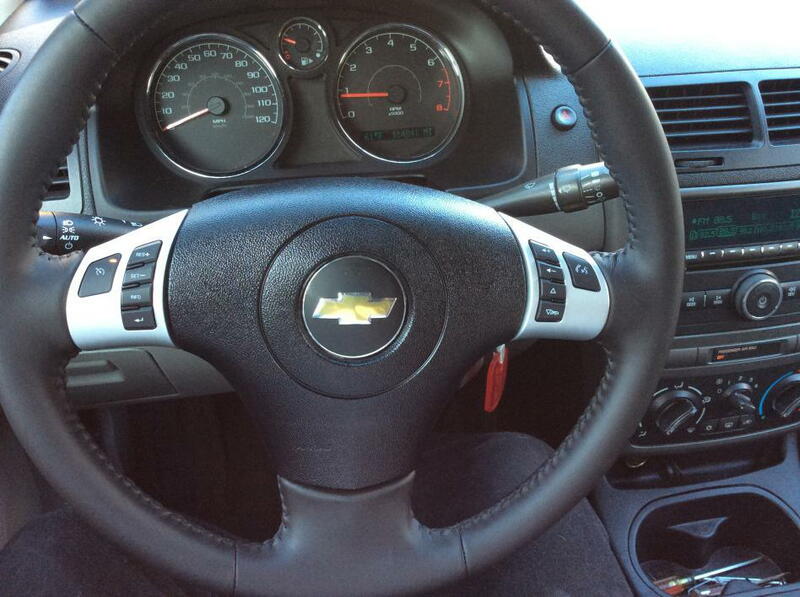 I just installed a 2010 Malibu leather steering wheel with the cruise control & remote radio buttons. I did need to get a Malibu airbag for $50 from ebay. Overall it is great having cruise. I programed the BCM myself with my Tech2 so no dealer issues. Workes great and very pleased. I am very pleased to say that I finally got around to doing this upgrade modification from aftermarket cruise control that I had installed on my upgraded 2010 Cobalt LS coupe back in April 2014 by a car audio stereo shop to factory cruise control that I installed myself on January 15, 2017. It was very easy to do. All I had to do was change out the steering wheel wiring harness inside the steering wheel for cruise to work and change out the steering wheel trim located on left side of steering wheel for cruise control/info buttons. I kept the same steering wheel that came with my Cobalt. The only things that I did was change out the wiring harness and left trim piece along with the buttons. Of course I took off the steering wheel to get to the plugs on the front and back of the clock spring. The next thing I had to do was change the wiring around such as run the 22 gauge pink wire from behind the steering wheel to one of the pink wires coming out of the big C3 connector that was already spliced for the aftermarket cruise control that was wired up. I just undid the red and light blue wires that was spliced there and wired up the pink 22 gauge wire from behind the steering wheel and wired it up in that same spot and finished it off with some black electrical tape. 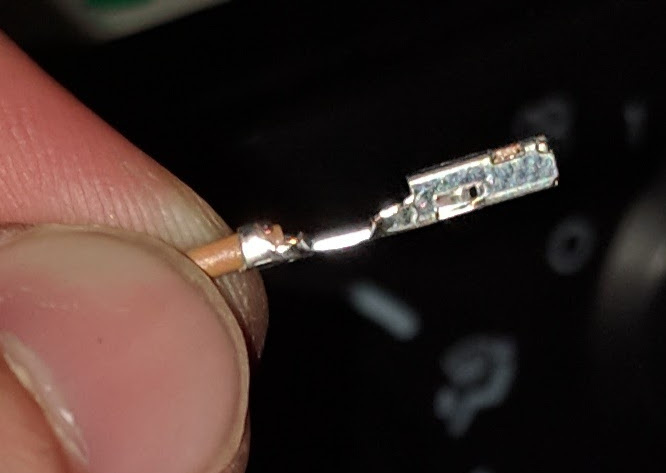 I ran the 22 gauge gray wire from behind the steering wheel to the gray wire that was already inserted into position 61 in connector 2 of the BCM connector for the aftermarket cruise control. All I had to do was cut the gray wire that the aftermarket cruise control was connected to that was already coming out of position 61 in connector 2 of the BCM and attach it to the gray 22 gauge wire that I ran from behind the steering wheel and also finished it off with some black electrical tape. I finally took out the aftermarket Rostra 250-1775 Cruise Control Kit by undoing the red and light blue wires that was spliced into the pink wire coming out of the big C3 connector and cut the gray wire coming out of the connector 2 of the BCM connector and undid the black wire that was grounded to a metal screw on the BCM block. The last thing I took off was the wireless mounted switch cruise control buttons that was mounted to the lower right side of steering wheel. Of course the BCM was already programmed with a Tech2 by the dealer back in April 2014 for the aftermarket cruise control. The factory cruise control works great and am very pleased. I like the cleaner look of the cruise control/info buttons on the left side of the steering wheel. Yet another flawless install. Last edited by KirkAllen1975; 01-21-2017 at 09:17 PM. Hi everyone, I know this is kind of an old thread but I thought I'd add some useful info for anyone looking for it. I just successfully did this install on my 2010 XFE. I ran into one issue though. 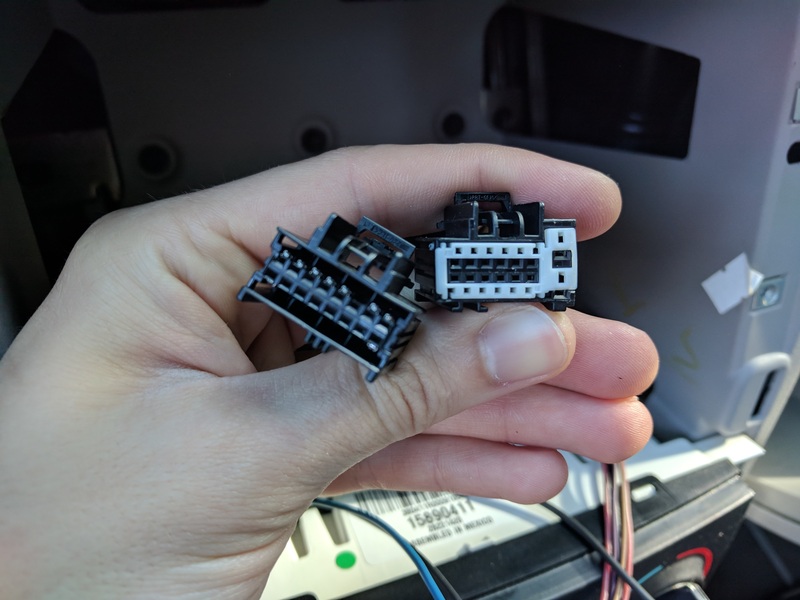 After going to the junkyard to get the terminal connectors (which I pulled out of what I thought was a newer cobalt) I noticed they didn't match up with the ones on my radio. Instead of the round terminals I had small square ones (different that the ones used on the sir coil connector). After much searching I found the part number for these terminals (SAIT-A03T-M064) which I ordered from mouser electronics for about $0.50 for 20 of them. after installing these connections the radio controls worked great. The dealership gave me a little trouble, claiming the job took them 1.5 hours because they "needed to take apart a bunch of stuff" to do the job and charged me $100. What a joke, but hey it works. Thanks for the great thread! In my 2010 Cobalt LT, pins 11, 14, and 61 are present on the corresponding connectors. Am I correct in assuming that I just need to install buttons and find a friend with a Tech2?